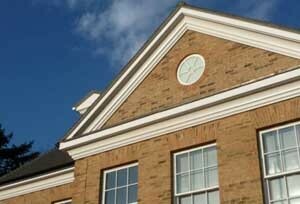 The site for all your Coving, Cornice, Ceiling Roses, Dado Rails and Moulding needs! 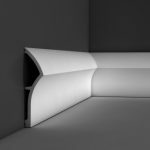 We are part of Orac Group and distributors of Orac Decor brand in the UK. We pride ourselves on great customer service and most of our products available on a 2 to 3 day lead-time! 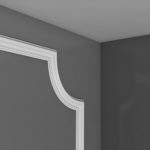 Orac is a leading manufacturer of innovative 3d elements specialising in decorative coving, dado rails, panel mouldings, indirect lighting profiles, skirting and ornaments.Since 1970 we have developed and manufactured decorative mouldings with passion, pioneering the use of synthetics technology in the production of decorative elements for your home. WHAT ARE ADVANTAGES OF USING OUR PRODUCTS? 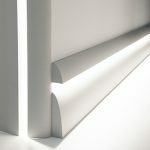 They are lighter than plaster making it easier to install without the need of nails for support. They will not break or crack like plaster giving you less waste. 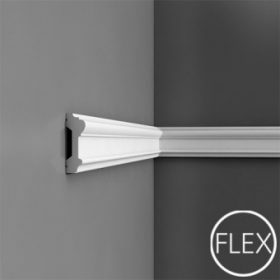 Orac flex can be installed on curved walls such as bay window walls. 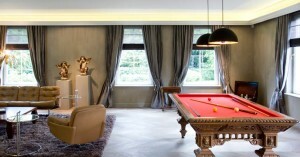 Our products come primed and can be painted straight away with any interior paint saving you time and money. 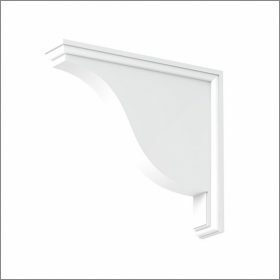 The joints require minimal filling and are unnoticeable once painted. 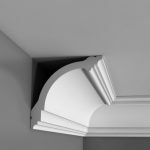 Orac Decor's range of Coving, Cornice, Ceiling Roses, Dado Rails and Mouldings suit all applications whether modern, contemporary or classic. Interior design is where our heart is. 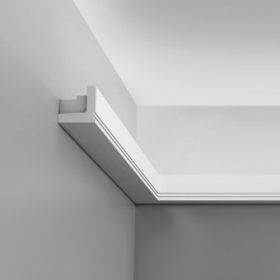 For over 12 years, we have installed Orac Decor’s decorative products with great passion. 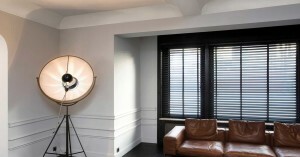 The over all finish of our installation and Orac Decor’s product is 2nd to none. Once caulked and painted it will look amazing. For best installation results please use the appropriate adhesives. 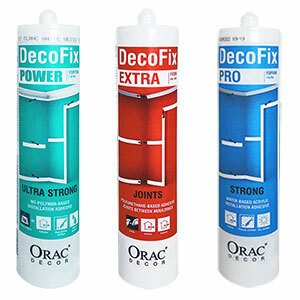 Our adhesives ensure best possible installation results. Out joint adhesive merges products into one preventing joints from opening. We will make every effort to despatch the orders received by 11:00 pm the same working day. The majority of orders will be delivered within 2-3 working days. If we anticipate a delay one of our customer service advisors will be in touch to inform you about the available delivery date. 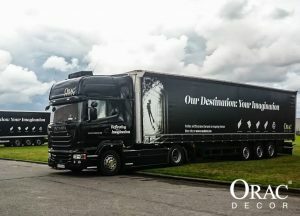 Free delivery applies within the UK on orders over £350 online in a single order delivered to a single address. For smaller order your delivery will be calculated at your checkout page.